​Falmouth Yachtsmen Varsity fell behind early and couldn't come back in a 10-2 loss to Greely on Tuesday. Greely took the lead on a double in the second inning. Greely captured the lead in the second inning. With one out in the second inning Joe Piwowarski drove in one run when he doubled. Greely scored five runs in the sixth inning. The big inning for Greely came thanks to a error and a single by Jack Saffian. Zachary Brown earned the win for Greely. He tossed three innings, giving up one run, four hits, and striking out four. Eben Kiesow threw three innings, as two relievers helped Greely finish off the victory. Cam Guarino took the loss for Falmouth. 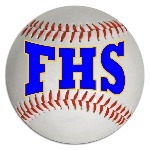 Griff Aube and Max Fortier each drove in one run to lead Falmouth.